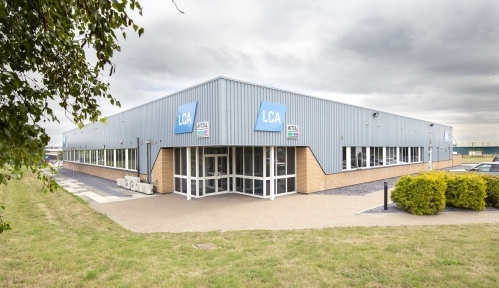 LCA Controls, a major supplier of electrical, control and instrumentation engineering solutions throughout the UK and Overseas, have relocated to a new state-of-the-art manufacturing facility in North Wales. 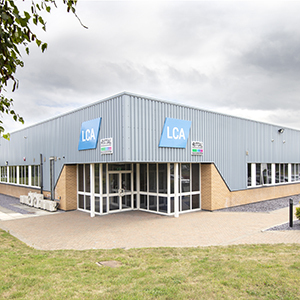 LCA group wanted the new building to provide the ideal working atmosphere for office staff, as well as create a pleasant, welcoming environment for guests. 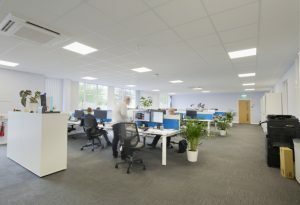 In the open plan office, to minimise glare and discomfort for employees working on computers for long periods, xcite Panels were installed. 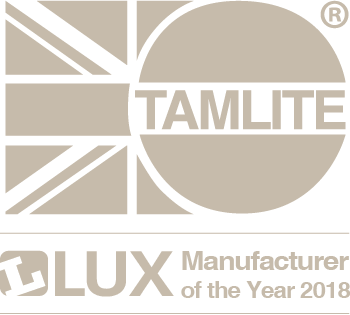 Fitted with an opal diffuser, the panel has been designed to create comfortable lighting for room occupants. 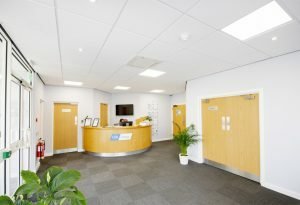 In the corridors and communal spaces, stylish xcite FRDs were fitted, complementing the visual design of the building to create a striking entrance for visitors and staff. The combination of xcite panels and downlights meant that the new building reflected the ambition of LCA Controls.